Miller Company has worked closely with the school community and the architectural firm of SMWM in an inclusive and responsive design process. Plans were developed after consultations with groups of students, faculty, and staff. Initial concepts presented to the groups led to the development of a courtyard that expands the indoor student center into the outdoors. 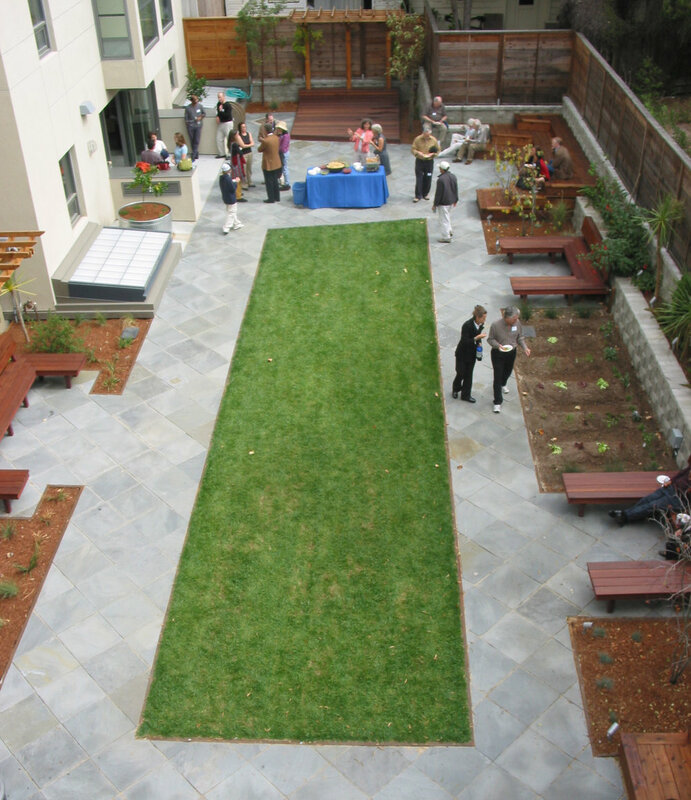 The garden features several intimate seating areas crafted from Brazilian redwood, terraced amphitheaters, a performance deck, and a central lawn for lounging and play. The bluestone courtyard paving reflects the school’s commitment to the expression of a highly refined environment which is exemplified throughout the renovation of the existing school and the construction of the new classroom facility. The garden is planted with native plant materials suggested by the student club focusing on issues of the environment. Along with other drought tolerant species, citrus trees, herb plantings, and a space for food production is used by students and the school’s cook. Miller Company provided both landscape architecture services and a team of landscape craftsmen to construct the garden environment over an 18-month time span. The project was completed in 2005.